Our head office is based in Heraklion, Crete and we have branches at Heraklion Airport, Chania airport, Chania City, Gouves, Chersonisos and Malia. An ideally placed company we are able to provide you with a personal meet-and-greet service throughout the year. 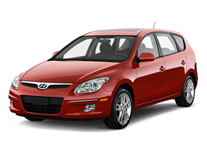 Our car rental fleet includes economical small cars, medium, large and convertible cars as well as Mini buses. The prices we offer are amongst the most competative in Crete, a fact that can quickly be checked by comparing us against any other car hire company on the island. FREE Delivery and collection anywhere on the island for all rentals over 5 days duration. FREE Car exchange in the event of a breakdown. FREE 24 hours road side assistance. FULL insurance (C.D.W) covering 100% of any damage in event of an accident. Safety belts, airbags, radios-CD and security in all models. Baby and child safety seats available upon request. Roofracks available for extra luggage requirements. Large scale road map of Crete.